KAMPALA. 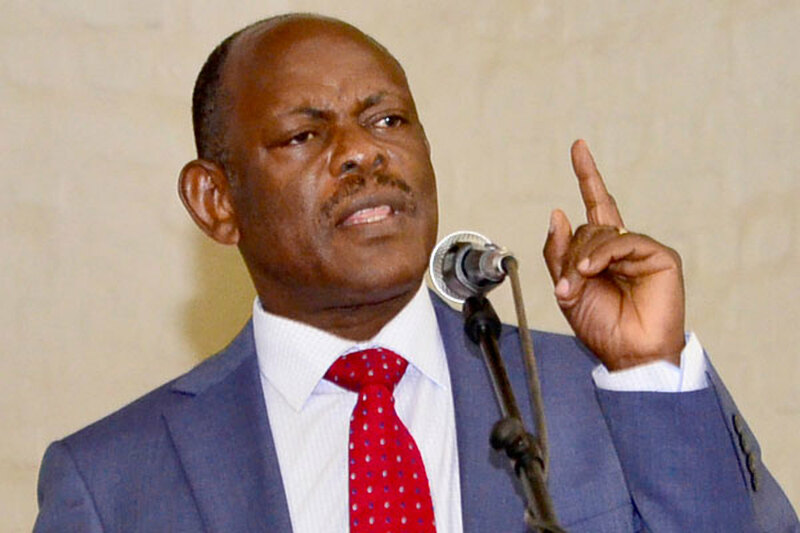 On August 8, 2018, four Makerere University students were indefinitely suspended by the Vice Chancellor Prof. Bananas Nawangwe for allegedly circulating inciting messages on social media that were threatening to disrupt activities in protest of the 15per cent tuition increment. However the four students who include; Jobs Dhabona, Samuel Kigula, Daniel Kituno and Kassim Njalira, have since filed an application before the High Court civil division, claiming the decision by the university to suspend them was reached at in utter disregard of principals of natural justice and as such it’s mired with illegality. “As a result of failure of natural justice, the students have already suffered psychological torment and by it stand to suffer or are likely to continue suffering irreparable or unquantifiable harm through violation of their fundamental rights to education, equality and non-discrimination, fair hearing and just treatment in administrative processes, impairment of academic growth, loss of esteem or dignity, social standing, financial vexation, inconvenience and impairment, stress and hurt feelings,” reads in part the court documents. Prof Nawangwe wrote to these students on August 6, 8 specifying reasons for their suspension and said that he took the decision to ensure safety and security of members of the university. 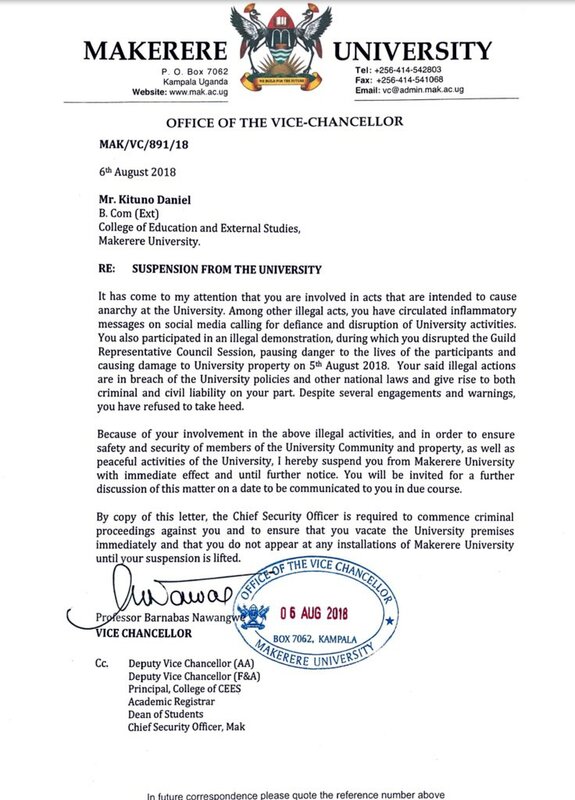 According to the suspension letters dated August 7, that read in part “It has come to my attention that you are involved in acts that are intended to cause anarchy at the university. Among other acts, you have been circulating inflammatory messages on social media calling for defiance and disruption of university activities”. They now want an order of mandamus compelling the respondent including its vice-chancellor, academic registrar, dean of students, chief security officer and all officers, organ bodies both academic and administrative to unconditionally reinstate the applicants to their respective programs of study and to facilitate them in terms of administering them with special tests, examinations or academic privileges lost as a result of their indefinite suspension.